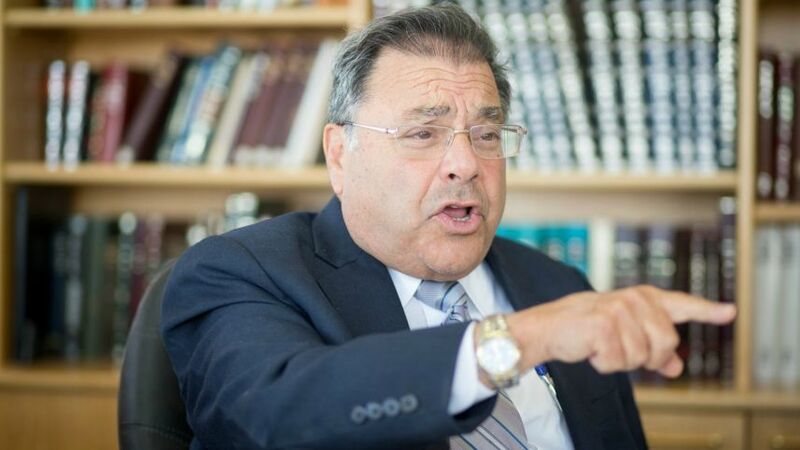 “I’m depressed,” answers Rabbi Shlomo Riskin forthrightly, when asked how he is. “All these years I’ve taken pride in the Chief Rabbinate, which has a golden history through the generations: from Rav Kook through Rabbis Herzog and Uziel and Goren. Now I don’t understand. There is a commandment to love the proselyte – haven’t they heard of it? And this Chief Rabbinate – ultra-Orthodox, I must say – I don’t understand why, with all the Talmud they learn, they don’t study pluralism. “I’m not embarrassed to say I’m a man of halakha ; I don’t rule outside of halakha. But it needs to be halakha that at least includes all the denominations of Orthodoxy. Orthodoxy that speaks to every Jew – even a Jew who calls himself secular. The Torah was never meant for only one stream,” declares Riskin. He was speaking to Haaretz before last Friday’s decision by the Judicial Appointments Committee to appoint 22 new dayanim to the regional rabbinical courts. These religious court judges were chosen in a highly politicized manner, with the rejection of three candidates who were considered relatively liberal (and affiliated with the Tzohar rabbinic organization). At the same time, two candidates who are close relatives of senior rabbis on the committee were appointed dayanim. Friday’s move opens a debate on where the religious establishment sits in contemporary Israel: Growing extremism, increasing politicization and blatant nepotism leave question marks on the relationship between it and the majority of Jews, both in Israel and around the world. It seems symbolic that this was the final act that closed out the Jewish year of 5775. This past year has exposed the cracks in the legitimacy of all three branches of Israel’s official religious establishment: the rabbinical courts; the conversion courts; and the Chief Rabbinate. “Is the Chief Rabbinate at end of its road?” asked The Jewish Chronicle (Britain’s leading Jewish newspaper) last week. Riskin is actually an employee of the religious establishment as chief rabbi of the West Bank settlement of Efrat, south of Jerusalem. Yet he had two well publicized and major run-ins with the Chief Rabbinate over the past year. In the first instance, he was the passive partner: The Chief Rabbinate Council, headed by Ashkenazi Chief Rabbi David Lau and Sephardi Chief Rabbi Yitzhak Yosef, tried to have him removed from his Efrat post. However, at the last minute, he was reappointed due to political pressure and legal opinions. Officially, Riskin – who turned 75 this year and has served as chief rabbi in Efrat for over 30 years – faced reappointment because of his age. In almost all other similar cases, such appointments are made automatically – but not in Riskin’s case. His refusal to cooperate with the Rabbinate also made the process more difficult. The law decrees that his reappointment is for five more years, after which he must retire. In the second case, Riskin was a much more active participant: He was one of the founders of Giyur Kehalakha (Conversion According to Halakha), an initiative by a number of religious-Zionist rabbis to establish new, independent conversion courts in Israel. This could be seen as a rebellious move against the Rabbinate and its own official, state-sponsored conversion arm. These new conversion courts, led by Rabbi Nahum Rabinovitch – the head of Yeshivat Birkat Moshe in Ma’aleh Adumim – have been acting secretly for several months, converting some 45 minors and adults. These conversions are not recognized by the Rabbinate. “This is the first time in my life I’ve been in a dispute. I am not a man of conflict, and I always tried to be someone who unites. And there is nothing that unites more than the Torah and Talmud,” Riskin says. Twice he asked to meet with Chief Rabbi Yosef, and twice his request went unanswered, he adds. In addition to being the rabbi of Efrat, Riskin also heads a large educational network, Ohr Torah Stone. He is also a senior leader in the religious-Zionist camp. But the attempts by the Rabbinate to remove him from the religious establishment echoed far beyond local Israeli affairs. Riskin is still very well connected to key figures in the United States, from where he made aliyah in 1983 after serving as a congregational rabbi at the Lincoln Square Synagogue, Manhattan. In the United States, Riskin is still considered a major figure in the central camp of Modern Orthodox (a less liberal stream than Open Orthodoxy), and, for example, objects to minyans consisting of men and women. Nonetheless, he appointed Jennie Rosenfeld as Efrat’s communal spiritual leader at the beginning of 2015. This was the first time an Israeli Orthodox community appointed a woman to the role, and although Rosenfeld’s position is not a public one and her salary is being met through private donations, she is still considered a halakhic authority in every regard. She’s a graduate of the Women’s Institute for Halakhic Leadership at Midreshet Lindenbaum College in Jerusalem (one of the educational institutions under Riskin’s auspices). His flagship project remains the conversion courts, though. In recent months, even before the new courts were revealed to the public, they converted dozens of people. 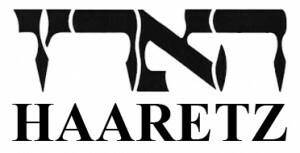 Most are children of immigrants who were entitled to Israeli citizenship under the Law of Return, but are not considered halakhically Jewish (what is known as Zera Yisrael – Seed of Israel). Riskin has guaranteed all those who have converted through his new courts that, even if the state doesn’t recognize their Jewishness, he will take care of them – for example, by registering their marriages himself, or at least ensuring that the wedding ceremony is carried out in a fully halakhic manner. Riskin says the government’s refusal to recognize these conversions will end in the state being taken to the High Court of Justice, and he’s convinced he’ll find a sympathetic ear there. Riskin asks his converts to make the following declaration at the end of the conversion process: “I take upon myself to enter the covenant of the Holy One Blessed Be He, together with the assembly of historic Israel, and be added under the wings of the Shekhinah and take upon myself the Torah of Judaism that requires a system of commandments and continue to grow within this system that leads to the repair of the world.” The declaration is based on Maimonides and experts in Jewish law, notes Riskin. According to Riskin, the official state demand on converts to perform all the commandments “cannot be real, and I do not believe in things that are not real. I couldn’t take it upon myself to perform all of the commandments according to that interpretation. I am still learning, too” he says. The Ohr Torah Stone educational network was holding a project called Shofar in the Park on the two days of Rosh Hashanah, in which volunteers spent time in various city parks, as well as a number of beaches, all over the country, for the blowing of the shofar – the main mitzvah for Rosh Hashanah. “We talk about the converts, but it is also true that the majority of Jews in Israel are secular. The Tabernacle must go to places where the Jews are,” Riskin believes. “How can it be that the rabbis don’t know how to deal with the fact there are secular people, as with conversion? What does that say? They are rabbis! What world do they live in? This is the majority of the Jews,” he adds. “I made a covenant with the entire people, not just with the elitist yeshiva students, not just with the Orthodox Jews. I made a covenant with all of Israel,” concludes Riskin.